It took less than a week for two-time Oscar winner Kevin Spacey to go from admired stage, TV and film star to a pariah, under investigation by the police and fired from his Emmy-winning role in "House of Cards." Here's a look at key developments in his still-unfolding case. In an interview with BuzzFeed, actor Anthony Rapp said he attended a party at Spacey's New York apartment in 1986, when he was 14. At the end of the night, an inebriated Spacey picked him up, placed him on his bed, and climbed on top of him, Rapp said. Rapp said the 26-year-old was holding him down tightly, but he was able to get away and left the apartment. Rapp said he was inspired to come forward in the wake of allegations swirling around Harvey Weinstein. Spacey posted on Twitter that he didn't remember the Rapp encounter. "But if I did behave then as he describes, I owe him the sincerest apology for what would have been deeply inappropriate drunken behavior," he said. Spacey, who has fiercely protected his private life, had never disclosed his sexuality before but said Rapp's story encouraged him to speak and he came out as a gay man. Many observers thought it was an odd time for Spacey to address his sexuality or was even an attempt to deflect blame. All day, Spacey faced condemnation from gay activists and fellow performers, including actor Zachary Quinto, comedian Wanda Sykes and musician Lance Bass, as well as the gay rights group GLAAD. Netflix and the "House of Cards" producer, Media Rights Capital, announced the show would end after the conclusion of season six (though they added that such a decision had been made before the allegations) and some show executives arrived in Baltimore, where the series is shot, to make sure actors and crew "continue to feel safe and supported." Mexican actor Roberto Cavazos wrote on his Facebook page that he encountered Spacey at the bar of London's Old Vic Theatre, where Spacey was artistic director from 2004-15, and the actor tried to fondle him against his will. "It was more common for this guy, when he was in the bar of his theater, grabbing whoever caught his attention," Cavazos wrote. "I didn't stand for it, but I know some people who were afraid to stop it." In a statement, the Old Vic expressed "deep dismay" at the sexual assault allegations and said "inappropriate behavior by anyone working at The Old Vic is completely unacceptable." Spacey did not respond to requests for comment. Tuesday's episode of the NBC drama "This Is Us," which had initially referred to a Spacey film, was reedited to replace him with Christian Bale. 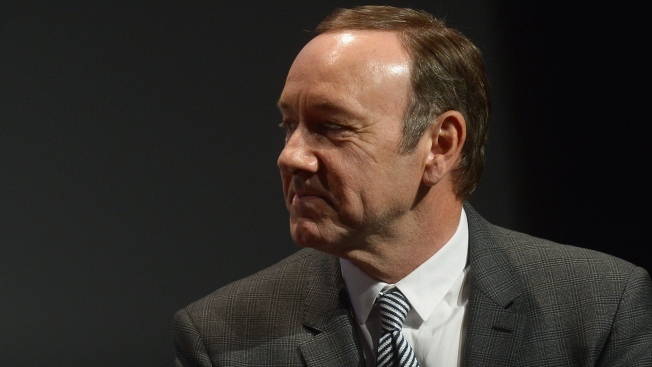 CNN reported that eight current or former "House of Cards" workers claimed that Spacey made the production a "toxic" workplace and one ex-employee alleged the actor sexually assaulted him. CNN reported that all of the people described Spacey's behavior as predatory. The report accused Spacey of allegedly targeting staffers who were typically young and male with nonconsensual touching and crude comments. More fallout came when Spacey's talent agency Creative Arts Agency said it was no longer representing Spacey, and his publicist also parted ways with the actor. London police said they had begun investigating an alleged 2008 sexual assault reportedly linked to Spacey. The Sun newspaper said the new allegation comes from a man who was in his early 20s at the time. In America, Netflix said it would cut all ties with Spacey, and will not be involved with any further production of "House of Cards" that includes him. The company also said it will not release the film "Gore," starring Spacey, which was in post-production. In another blow to Spacey's wallet, a Dutch business forum canceled his headline appearance at their conference Nov. 29 in Rotterdam.